Ireland: Illegal Muslim settler rapes woman in her home, gets only one year jail sentence……. – The Tundra Tabloids……. Ireland: Illegal Muslim settler rapes woman in her home, gets only one year jail sentence……. Moral of the story, deport these illegal aliens, and do not place yourself into harms way due to ignorance of another’s (inferior, violent) culture. 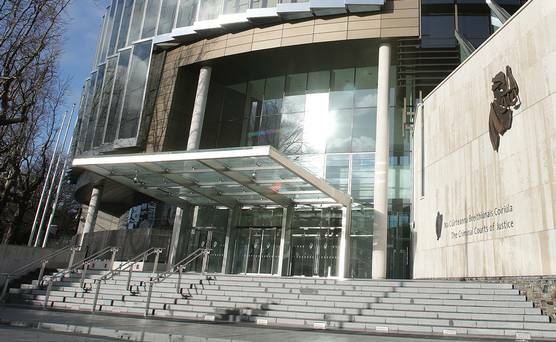 An Egyptian man who had been living in Ireland illegally has been sentenced to one year in prison for sexually assaulting a young woman in her Dublin home. Mohamed Ahmed (31) of South Circular Road, Dublin pleaded guilty at Dublin Circuit Criminal Court to attacking the women on September 19, 2016 by pining her to the ground and sexually assaulting her. The woman, who asked not to be identified, said in her victim impact statement that she had been receiving counselling since the incident and had not been able to walk home alone at night. He had been invited back to the woman’s house for a drink following a day out at the All-Ireland finals last year. She admitted that she did not remember much of the night because of the amount of alcohol consumed, but that there had been some consensual kissing before she asked him to leave. Garda Lorna O’Connor took a statement from the victim the day after the attack. She said said that the woman became uncomfortable and asked Ahmed to leave before going to the toilet in her home. Gda O’Connor told he court that when the woman returned Ahmed had removed his trousers, and tried to take off the woman’s clothes. The woman said that she had only remembered this because she found pictures of Ahmed without his clothes on her phone the following day. Previous Post Previous Post Sweden: Al-Azhar school’s gender segregation of students in multicultural Sweden, girls to back of the bus……. Next Post Next Post UK PM refuses Islamic veil while visiting Sowdy Barbaria…….